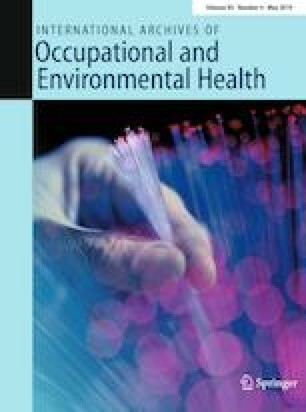 Individual differences in the development of perceived job insecurity among young workers may be influenced by characteristics of the first job (contract type and sector) and individual background (education and previous unemployment), and can have implications for subsequent health and well-being. The aim of this study was to investigate the development of perceived job insecurity during the early career, as well as associations between different patterns of development (i.e., trajectories), predictors and outcomes. We conducted a latent class growth analysis to identify trajectories of perceived job insecurity and investigated their respective associations with predictors and outcomes across 6 years in a sample of 1711 German labor market entrants. Six trajectories were identified: three showed stable job insecurity perceptions (stable moderate, 36%; stable low, 32%; stable high, 5%), two showed decrease (moderate to low, 12%; high to moderate, 3%), and one showed increasing job insecurity perceptions (low to moderate, 13%). Temporary contracts and previous unemployment predicted trajectories characterized by increasing, higher initial or higher overall levels of perceived job insecurity. In contrast, public sector employees and university graduates were less likely to experience persisting or increasing job insecurity. The trajectories differed in their overall levels of self-rated health and job satisfaction, but not with respect to change in these outcomes. Instead, increasing perceived job insecurity was associated with decreasing life satisfaction. The findings suggest that an insecure career start and individual risk factors may predispose young workers to an unfavorable development of both job insecurity perceptions and levels of well-being. The first author’s contribution was supported by the German Academic Exchange Service (DAAD) under Grant 57212311; the University of Bremen (BremenIDEA Grant), and the Bremen International Graduate School of Social Sciences (German Research Foundation (DFG) Grant GSC263).